I’d never made gnocchi before so this seemed like a good time to start (well, apart from the fact that I was exhausted from being out in the garden all day, had two grumpy children to feed and bath, and absolutely nothing else to eat if it went wrong). Fortunately it turned out really well and wasn’t as tricky to make as I thought. I used Cashel Blue cheese, which being both creamy and salty was perfect for the sauce. Made in County Tipperary in Ireland, it’s a cow’s milk cheese, produced by the Grubb family from their pedigree British Friesian herd. 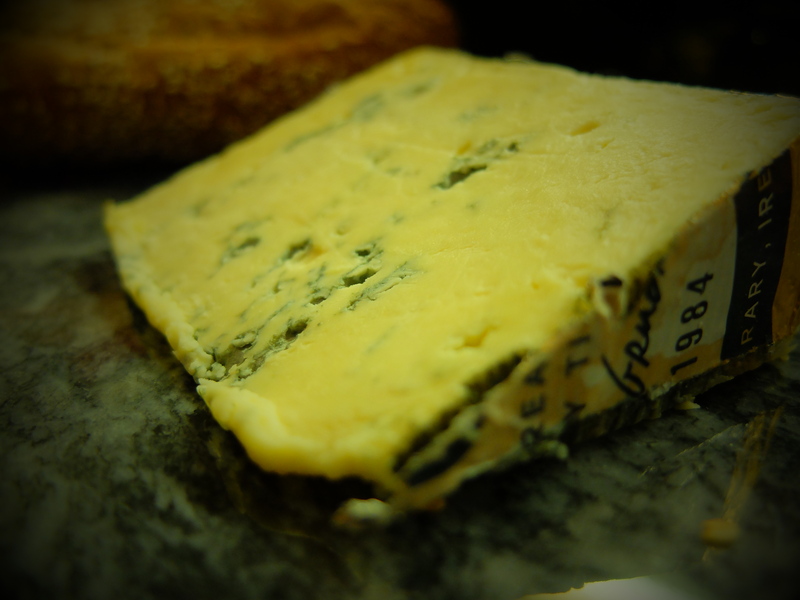 They also produce the stunning Crozier Blue, made from ewe’s milk. 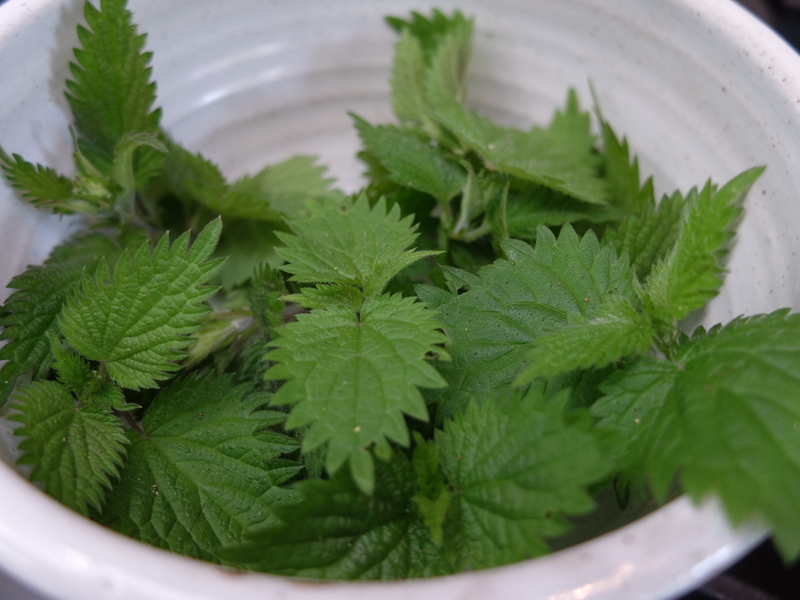 Nettles obviously have stingy tendencies but if you put them in a colander and pour over some boiling water, it lessens potential nastiness (and also gets rid of aphids, cuckoo spit and dog wee, with any luck). 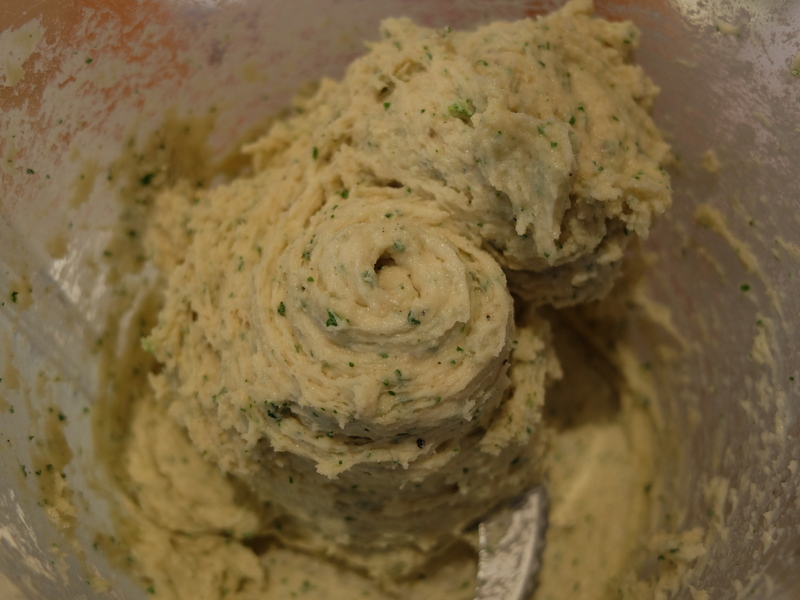 Next, whizz the potato, garlic, egg, nettle leaves and half the flour in a blender until combined. Add the rest of the flour and give it another whizz; it should take on a dough-like consistency, although may still be quite sticky. Turn it out onto a floured surface and knead it with well-floured hands. Divide the mixture into four and make four ‘snakes’, about as thick as your thumb. 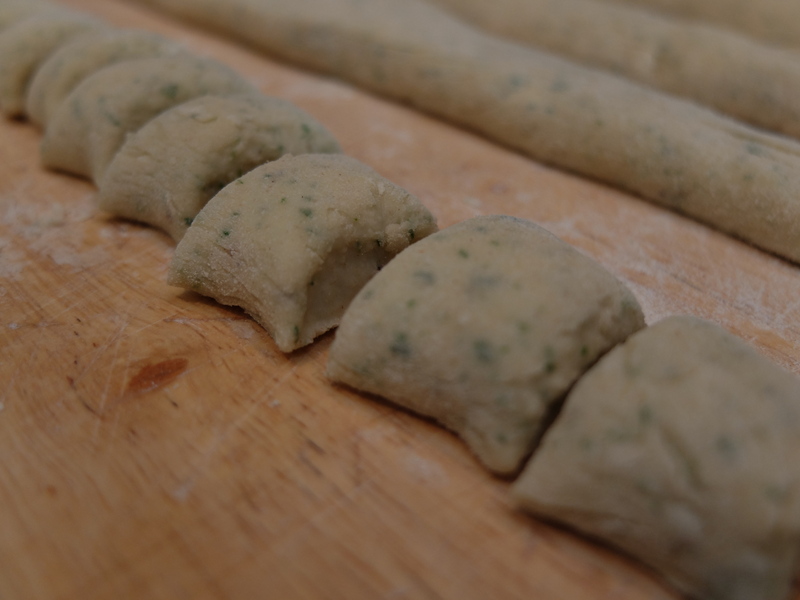 Then cut into gnocchi-sized pieces and either leave them in that shape or roll them into balls. Bring a large pan of salted water to the boil and drop in the gnocchi. 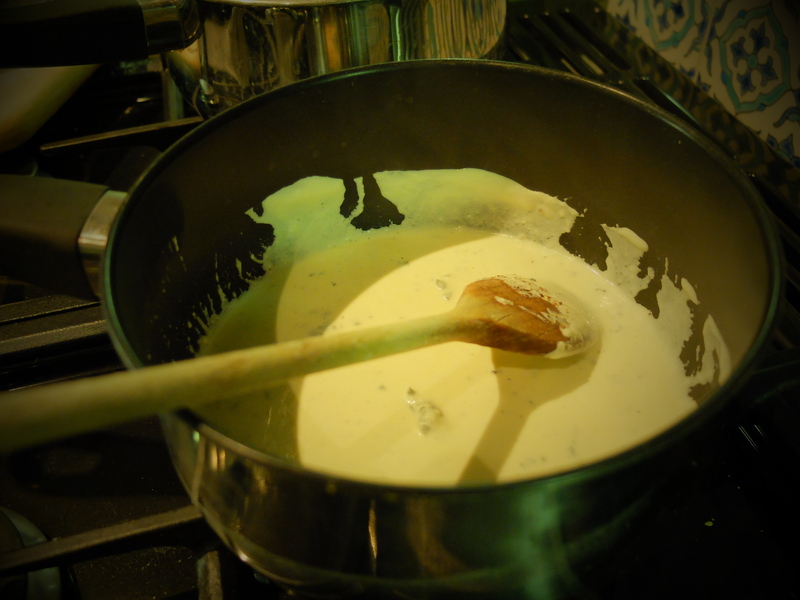 Whilst they are cooking, put the blue cheese and crème fraiche into a non-stick pan and melt together to make a sauce. Season to taste. The gnocchi will be cooked when they rise to the surface. Scoop them out with a slotted spoon, drain and arrange on a plate. Pour the sauce over the top, garnish with chopped chives and serve hot. 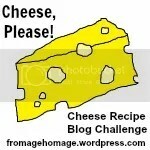 Because this recipe uses both cheese and the seasonal ingredient of nettles, I am sharing it with this month’s Cheese, Please! Challenge. I’m also sharing it with Pasta Please, hosted by Tinned Tomatoes and Franglais Kitchen, where this month’s theme is pasta sauces. Wow! Impressed by your foraging skills and the gnocchi look delicious. Thanks, I think I may have nearly exhausted the foraging possibilities of SW London. I’m not usually a gnocchi eater so not sure how chewy it’s meant, or not meant, to be. Tasted good though. I do love gnocchi but never thought to make with nettles! Am bit worried what I could end up with if I went foraging though. Might stick to regular gnocchi but need to try this sauce as Cashel blue is my most favourite cheese! It is a nice cheese, isn’t it? You could maybe replace the nettles with watercress. 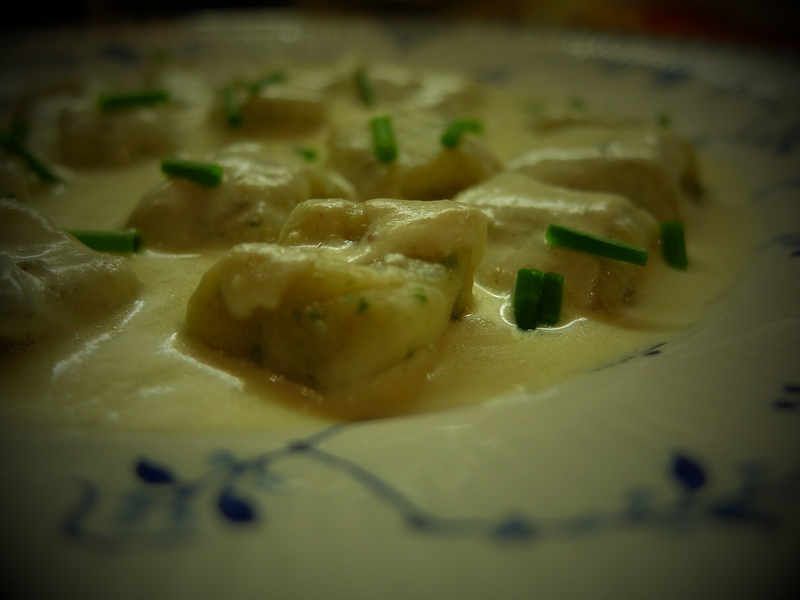 Many think that gnocchi is difficult to make, but it is the easiest of the pastas. I’ve made it before using parsley. It was much easier than I thought – I was convinced it was going to disintegrate in the water. Parsley sounds good too. Yes, some health food stores in the US do carry nettles. Depending on what part of the country you live in, you may even find them at your local farmers’ market. I live in a town and they are fairly common with some growing in my own backyard. I am intrigued by the Cashel Blue cheese. Must look for that next time I am shopping. I love both Cashel and the ewes milk Crozier. Such great cheeses! Ah yes, I love Crozier too (possibly more than Cashel, sshhh, although that is lush too). I love Cashel Blue. It’s probably available here but as a “foreign” cheese (feels strange to an Irish girl!) it’s likely to be expensive. There’s a blue here called Memel Blue which is actually really good. It’s softer than Cashel but not as soft as Roquefort. If you find it try it – it’s yummy! I’m impressed you made gnocchi! I’ve tried my hand at nettle pasta, it was really good & interesting! Next time I find nettle (in a shop, or less probably out in the wild), I’ll try gnocchi. 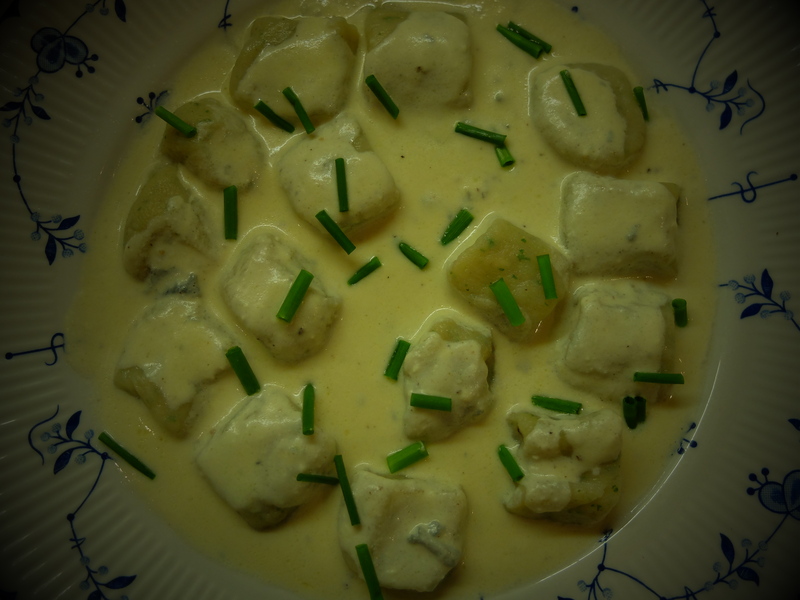 I think gnocchi is way easier than pasta – my attempts at pasta are always disastrous! It seems so funny in the UK to think of anyone actually paying for nettles but I guess we probably have equivalents that to other people are everywhere! This is such a clever idea! I like the idea of pairing a “wintery” item like a aged blue cheese sauce with a spring plant like nettles. We do have nettles growing wild here in the U.S. (in the deep woods of Pennsylvania). Because so much of our soil is clay, looking for nettles is a good way to see areas that have good soil for putting in a garden…after you suit up and dig out all the nettles. Thanks, it is a pairing that seems to work well. We’re on clay soil here too – although nettle in the UK seem to grow pretty much anywhere!